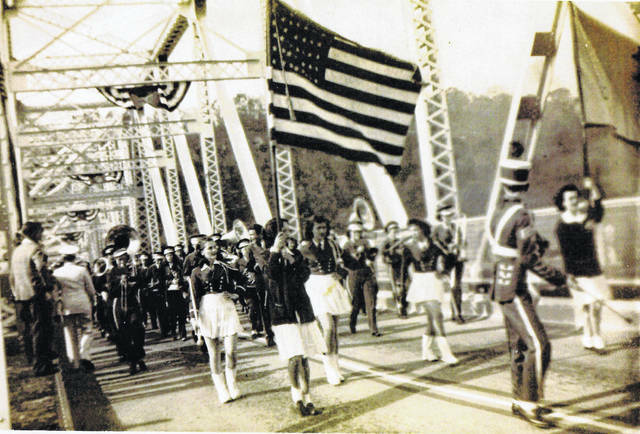 The 1946 Pomeroy High School Marching Band makes its way across the Pomeroy-Mason Bridge. The band is led by Drum Major Bob Hawley, according to a note written on the photograph. While it is clear from the flag and banner that the event which the band was taking part in was a patriotic celebration, it is not known which holiday or event the band was celebrating.